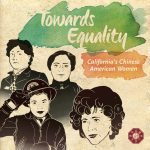 This roundtable discussion will focus on Chinese American women’s career choices. During the event, panelists Jaclyn Lock (Senior Research Associate at Genentech), Felicia Lowe (Independent Television Producer, Director, Writer, and Filmmaker), Lauren Marshman (Academic Counselor at Galileo Academy of Science and Technology), and Helen Zia (Journalist, Author, Activist, and Fulbright Scholar) will discuss their decision-making process when building their careers. What were the challenges they faced (professionally, financially, socially, and/or culturally)? They will describe their own career paths—successes, challenges, and chance encounters they have faced along the way. All women are at different points in their careers and have had to balance their career goals and family obligations/expectations. We encourage everyone to join this vital and timely discussion. Before the roundtable discussion, local musician Anna Wong will perform a couple of songs. Anna Wong immigrated from Hong Kong in 1962 when she was 11 years old. She benefited from John F. Kennedy’s Emergency Immigration Act of 1962 that allowed 5,000 Chinese refugees to enter the United States. She worked at the sweatshops and lived in San Francisco’s Chinatown through her early teens. She put herself through school and became a clinical psychologist for many years. She is now a part of the SF Guzheng Music Society. Ticket price includes admission to CHSA’s galleries & exhibits. Seats are limited – please arrive early. Unclaimed seats will be released before the event begins. Jaclyn Lock is a Senior Research Associate at Genentech working to find new cures for cancer. She completed her Ph.D. in Bioengineering at Northeastern University where she studied the intestinal mucus barrier and how it is modulated in the presence of external agents (such as lipids and emulsifiers) and in disease states. Prior to Northeastern University, Jaclyn received dual B.S. degrees at Carnegie Mellon in Chemical and Biomedical Engineering, and completed her M.S. degree in Bioengineering at the University of California at Riverside. In addition to spending time in the research lab, Jaclyn enjoys mentoring future scientists and engineers. Felicia Lowe is a Bay Area native and award winning independent television producer, director, and writer with 40 years of production experience. Her documentaries; Chinese Couplets, Carved in Silence, Chinatown and China: Land of My Father reveal the unique experiences of Chinese in America while underscoring our common humanity. All her films have been broadcast on PBS and are used in classrooms across the country. She recently directed Pacific Gateway, a 360 virtual reality video on Angel Island Immigration Station. Prior to producing documentaries, she was one of the first Asian female television news reporters and worked on the children’s television series, “The Electric Company.” A descendant of Angel Island detainees, she’s been credited as a leader in the preservation and restoration of this National Historic Landmark. Lauren Marshman is a school counselor for the San Francisco Unified School District, Galileo Academy, and has also served the school as Assistant Principal. Currently she oversees Galileo’s AVID program, an in-house course that prepares 200 first generation college bound students every year for four-year universities. 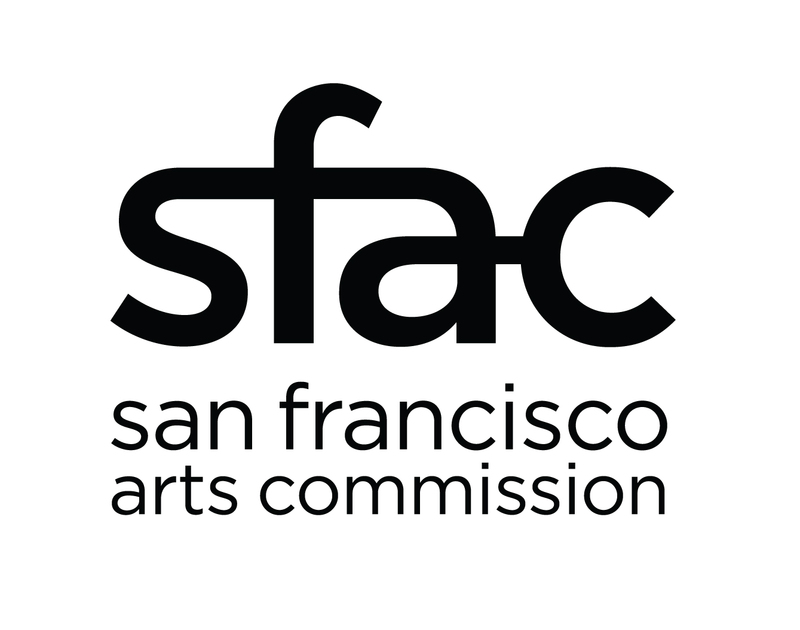 Through her oversight, the program has become San Francisco’s exemplary model for other high schools, with over 90% of her students with direct entry into four year colleges upon high school graduation. 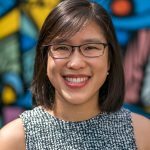 Lauren is also is serving as the current president for The Association of Chinese Teachers, a professional organization of dedicated public school educators actively striving for educational excellence and equity for all students though advocacy, teacher professional development, student scholarships, and participation in educational policy making. 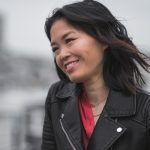 She is a mom to two young children (both in San Francisco public schools) and strives for creative and emotional balance in her everyday life. 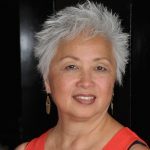 Helen Zia is the author of Last Boat Out of Shanghai and Asian American Dreams: The Emergence of an American People, a finalist for the prestigious Kiriyama Pacific Rim Book Prize and referred to by President Bill Clinton in two separate speeches in the Rose Garden. 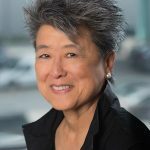 She coauthored, with Wen Ho Lee, My Country Versus Me, which reveals what happened to the Los Alamos scientist who was falsely accused of being a spy for China in the “worst case since the Rosenbergs.” She was Executive Editor of Ms. Magazine and is a founding board co-chair of the Women’s Media Center. Her articles, essays, and reviews have appeared in numerous publications, books, and anthologies, receiving awards for her ground-breaking stories. The daughter of immigrants from China, Helen’s work on the 1980s Asian American landmark civil rights case of anti-Asian violence is featured in the Academy-Award nominated documentary, Who Killed Vincent Chin? and she was profiled in Bill Moyers’ PBS series, Becoming American: The Chinese Experience. In 2008 Helen was a Torchbearer in San Francisco for the Beijing Olympics amid great controversy; in 2010, she was a witness in the federal marriage equality case decided by the US Supreme Court. Helen is a board co-chair emerita of the Women’s Media Center; she received an honorary Doctor of Laws degree from the Law School of the City University of New York for bringing important matters of law and civil rights into public view. She is a Fulbright Scholar and a graduate of Princeton University’s first coeducational class. She attended medical school but quit after completing two years, then went to work as a construction laborer, an autoworker, and a community organizer, after which she discovered her life’s work as a writer.